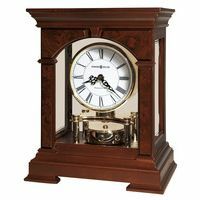 This is a majestic very high quality Winterhalder and Hoffmeier Bracket or Mantle Clock, which was likely made for the British market by this very fine German maker. 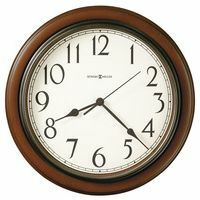 This amazing clock, which we believe is made of mahogany wood, is housed in a case which is 16 inches tall, 12 inches wide, and 7 1/2 inches in depth. It strikes BOTH on the hour and the half-hour on 2 Spiral Gongs, each with its own hammer (2 hammers total). It plays a musical ting-tang sound on each hour and half hour. The clock, including its case,is in excellent condition.The silvered Chapter Ring sits on top of a brass face, with 4 cherubs as spandrels on each corner of the dial. 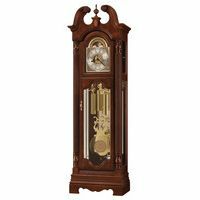 The movement is of excellent quality, being made by the famous and highly regarded Winterhalder and Hoffmeier company, and is in very good running and chiming condition.